I know what you’re thinking. Beans?! Yes, it’s weird. And while there’s no real substitute for an honest to goodness brownie, this imposter is pretty darn good. In fact, I even put together a score card. Let’s go through it, shall we? This recipe has the fudgy factor nailed. Very similar to a freshly baked, slightly underdone brownie (which is how I like mine), it’s moist yet dense. The crust is one of my favorite parts of a traditional brownie, and unfortunately this bean version didn’t really match up. I happen to really like these, although my husband wasn’t as big of a fan as I was. (I shouldn’t have told him beforehand that they were made with beans. Ha!) The addition of mix-ins helps make it more believable. But don’t take my word for it! I encourage you to try them. They’re really easy to make (hello, one bowl!) and who knows — maybe you can pull a fast one on a few of your unexpecting friends and family. Preheat oven to 350 degrees and butter an 8-inch baking pan. 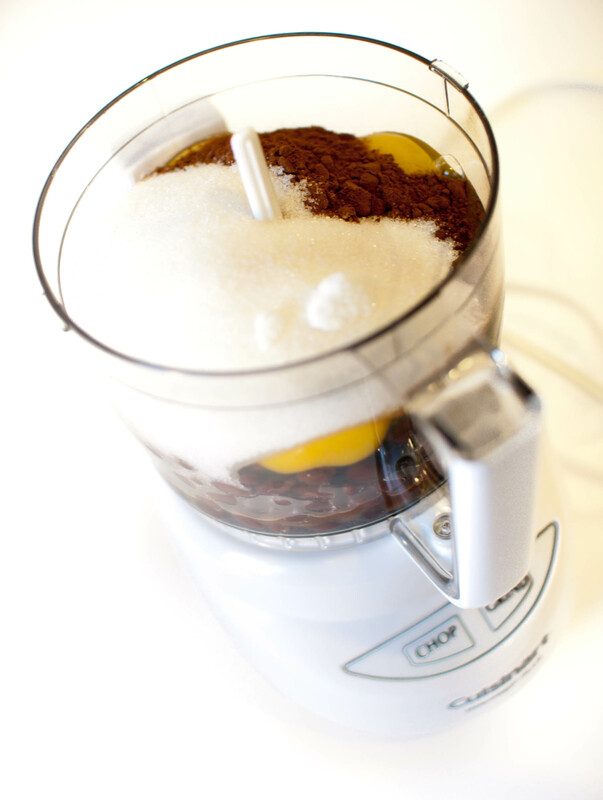 Place the black beans, eggs, melted butter, cocoa powder, salt, vanilla extract and sugar in the bowl of a food processor and blend until smooth. Remove the blade and gently stir in your mix-ins. Transfer mixture to the prepared pan. I love recipes that use out of the ordinary ingredients. though, with the creamy and slight nuttiness of the beans. I love trying healthy dessert recipes, this looks like it would be really dense and chocolatey. Can’t wait to try making it! This is intriguing. I’m going to have to try them! Cool! I’d love to check out this recipe. Wow! 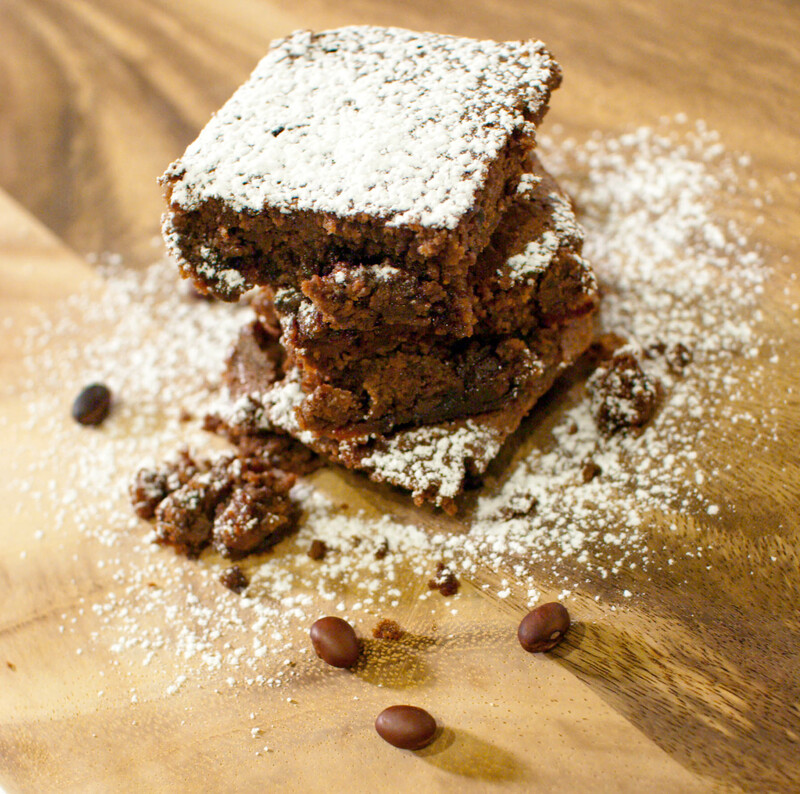 Who knew that beans could be added to brownies! What a neat idea!! That’s one of my favorite chocolate bars, too! I work across the street from a Vosges store, which is TROUBLE! And yes, I know it sounds weird, but it works! O.K. NOW, I am sooo jealous, across the street from Vosages? It’s almost like being across from your favorite shoe/pocketbook store, yes, I am whining! Haha, good idea! Minus the freezing weather in the winter, I love Chicago. I hope you come back for your next marathon! I did the Chicago Half last year and had a lot of fun. Thank you! I’m so going to try this. One of my favorite cookie recipes is a chocolate chip cookie with garbanzo beans. Sounds strange, but they are delicious! Wow! Interesting. I’d love to see that recipe! They look gorgeous! If they are sweet, I will eat them … especially knowing that they are a healthier version of a traditional brownie. 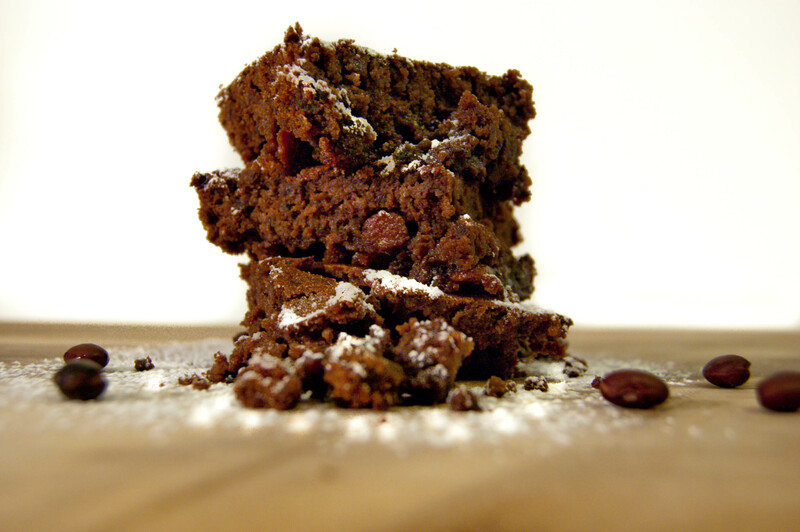 Love that last brownie picture – nice work! After having chocolate chickpea cake (and now cupcakes too), I believe you! I bet these taste great. I have to try them next. 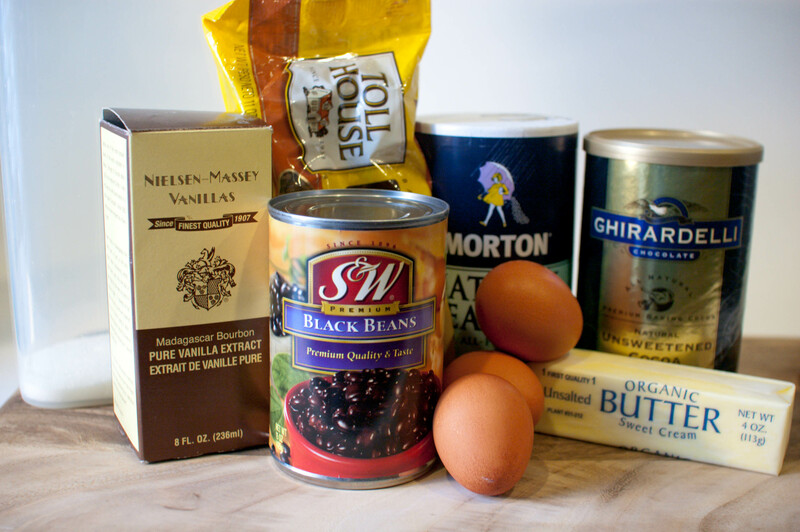 Who knew there were so many baking possibilities with beans? !